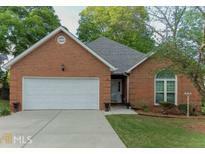 Find Fayetteville, GA Homes for sale. View Photos, Maps and MLS Data Now! Whisper Creek - Over-Sized Garage With Plenty Of Work Space & 10’ High Garage Door. Award Winning Fayette County Schools! MLS#8569904. Re/Max Legacy. Finished Basement With New Tile Flooring, Fresh Paint And Wainscoting, Swim/Tennis Community. Great Schools! MLS#8569658. 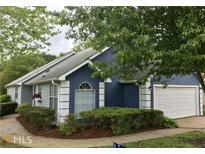 Peachtree City Home Search.Com. Finished Basement With New Tile Flooring, Fresh Paint And Wainscoting, Swim/Tennis Community. Great Schools! MLS#8569597. Peachtree City Home Search.Com. This Is Your Next Dream Home! MLS#8569647. Xrealty.Net Llc. Bellemeade - What Are You Waiting For? Welcome Home! ! MLS#8568634. Select Premium Properties, Inc. Connected To Ptc Golf Cart Paths. Walk To Starrs Mill Schools! MLS#8568796. Keller Williams Rlty Atl. Part. Room, Separate Room Could Be 5Th Bedroom W Windows, Storage Room, Front Porch, Large Rear Deck, Rear Patio, Fenced Yard , Oversized 2 Car Garage W Door MLS#8568960. Darby Real Estate. Schedule To See All The Extras Today! MLS#8568593. Keller Williams Rlty Atl. Part. Check Out The 3D Tour! MLS#8568986. Jar House Llc. Fenwyck - Don'T Miss Out On This Upgraded, Like New Home! MLS#8568511. Josey Young & Brady Realty. There'S Also A Large Living Area And A Private Bedroom That Leads Out To A Patio. MLS#8568375. Century 21 Meridian Realty. Come Enjoy The Peace And Tranquility. MLS#8568058. Berkshire Hathaway Homeservices Georgia Properties. The Newly Renovated Kitchen Has Quartz Countertops With Ez Glide Drawers And Soft Close Cabinets. No Hoa Fees. MLS#8568230. Berkshire Hathaway Homeservices Georgia Properties. Bailey Oaks - ** No Hoa ** Seller Is Mother Of Listing Agent MLS#8567877. Berkshire Hathaway Homeservices Georgia Properties. Kingswood - Exterior Features Include: Large, Private Lot That Has Been Beautifully Landscaped. Sprinkler System. Workshop W/ Electricity. MLS#8567512. Bhgre Metro Brokers. Future Basement Expansion Area Is Stubbed For Bath. MLS#8566945. Berkshire Hathaway Homeservices Georgia Properties. In-Ground Salt Water Pool, Fenced Pastures, Large Pole Barn, Storage Sheds, 2 Car Kitchen Level Garage. MLS#8566925. The Realty Group. Heart Of Fayette County, Close To Pinewood Studios And Easy Access To Downtown Fayetteville, Peachtree City And The I-85. MLS#8567468. Keller Williams Rlty Atl. Part. 2 Other Huge Spaces For Workshop & Storage MLS#8566861. Bush Real Estate Group. New Hope Landing - Hardwood Foyer Entry W/Soaring Ceilings; Formal Dining Room W/Crown Molding And Chair Railings; Arched Kitchen Entry; Plenty Of Cabinetry Space; Granite Countertops; Stainless Steel Appliances, Walkin Pantry; Open Kitchen Offers A Perfect View Of The Breakfast Lounge, Sunlit Keeping Room With Gas Fireplace; 2nd Floor Loft Overlooks Great Room W/Wood Burning Fireplace; Spacious Owner'S Suite W/Trey Ceiling And Sitting Area, Spa Bath, His/Her Vanities, Walk-In Closet; Spacious Secondary Rooms On Upper Level; Lots Of Roof Storage; Private Backyard; Side Garage; Covered Back Patio; Close To Fayetteville Eateries, Shopping, Pinewood Studios. MLS#8567023. Keller Williams Rlty Atl. Part. Fayette Villa Estates - Offers A Screened In Back Porch And A Huge Private Back Yard. Must See! MLS#8567194. Visionaire Realty Llc. Ridgemont - Visit This House And Come Home! Call Today! MLS#8567451. Keller Williams Rlty Atl. Part. This Home Is A Perfect 10! MLS#8566673. Harry Norman Realtors,Ptc. Minutes From I-85, Hwy 74, Tyrone, And Schools. MLS#8566730. Josey Young & Brady Realty. Mins To Square & Ptc. No City Tax! MLS#8565975. Acme Audubon, Inc..